Heidi opened Dirkse Counseling and Consulting, Inc. in 1997. 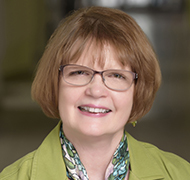 As President of the company, she leads a team of professionals providing Human Resource Consulting, Counseling, Mediation, Personal-Vocational-Social Adjustment and Vocational Rehabilitation Services. 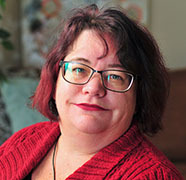 HR Consultation: Heidi has over 25 years of experience working with businesses in the Portland Metro Area providing assistance in recruiting, creating job descriptions, team building, mediation, and helping to identify and implement ADA accommodation. Community and professional involvement: Current service on the State Rehabilitation Council and The Employment First Teams that promote employment for individuals with ID/DD. 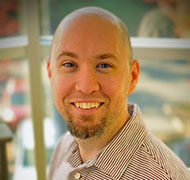 Andrew started with Dirkse Counseling & Consulting in 2004. He attended Beloit College, earning a BA in Communications and Creative Writing in 1994. He traveled abroad and taught English as a Second Language in Romania and Turkey. Upon returning, he obtained experience in PR/Marketing for Charter Communications. 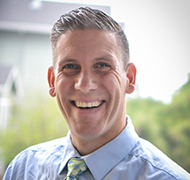 He earned his graduate degree in Marriage & Family Therapy from George Fox University in 2005. He is confident that his life experiences abroad as well as taking time between undergraduate and graduate degrees have afforded a unique perspective to the work that he does. 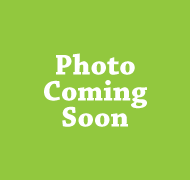 He holds licensure as a Licensed Professional Counselor (Lic. No C2301), Marriage Family Therapist (Lic. No T0711) and is also a Clinical Supervisor. In addition to clinical experience, he has held Instructor positions with Multnomah University and George Fox University, teaching courses on Career Counseling & Development, Tests & Assessments, Introduction to Family Therapy as well as Theory and Approaches to Counseling. With Dirkse, he has held positions at all levels of the rehabilitation process (job coaching, job development, case management, assessment/evaluation, etc.) and is currently focusing on Training & Development programs. Michael is a Vocational Technician and has been with the Dirkse Counseling and Consulting, Inc. team for two years in August. He completed the OELN Systematic Training and OELN Discovery and Employment Planning courses. He works with both Community Transition Students and Oregon Commission for The Blind clients. He is known for prompt and professional communication with the client and their complete team in order to facilitate successful outcomes and reach job goals. Originally from New Jersey, Michael has a degree in English and enjoys music, stand-up comedy, and watching the New York Football Giants. He strongly asserts that The Bouncing Souls are the greatest band ever! As Director of Business Development and Amplify! 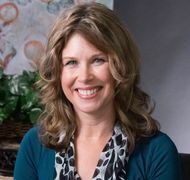 Events at Dirkse Counseling and Consulting, Inc., Cindy’s primary role is engaging with businesses in the Portland Metro area with a focus of building and maintaining strong partnerships. She works diligently to meet the business needs of the employer and facilitate the successful placement of job seekers with disabilities. Through programs like the Amplify! initiative created by Dirkse CC to engage, empower and inspire inclusion and the Dirkse CC Disability, Diversity and Inclusion Training, Cindy contributes her experience and passion to make a difference and change culture around inclusion for all. With a background in non-profit community development along with sales and marketing her role at Dirkse CC is a perfect fit. In her free time, Cindy enjoys exploring the beautiful Pacific Northwest; hiking, kayaking and spending time with her beautiful family. 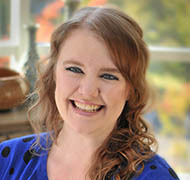 Jennifer brings to Dirkse Counseling & Consulting over 10 years’ experience in sales, operations, and management. She is thrilled to be using her HR expertise in talent acquisition, employee relations, and learning and development for Dirkse CC. Homegrown in Oregon, Jennifer took a brief stint in Arizona, and Wisconsin developing what she thought would be a career in Rehabilitation with individuals recovering from traumatic brain injuries. She earned her Bachelor of Science in Therapeutic Recreation Management (2000) from Arizona State University. Instead, upon obtaining her undergraduate degree she found work within the financial industry, where she began to thrive and discover her passion in business management, human resources and developing a rewarding relationship for both clients and employees through training and development. Oregon called her back where she furthered her employment within banking and ultimately earned her MBA from the University of Phoenix in 2006 and her HR Certification from Portland State University in 2012. Jennifer also earned her SHRM Certification. 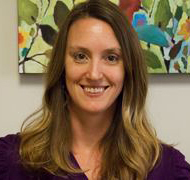 Lex first joined Dirkse Counseling & Consulting in 2015 as a Vocational Support Professional. After becoming Program Coordinator, she received her B.S. in Health Sciences: Community Health Education at Portland State University and Oregon Health and Science University in 2017. As Program Coordinator, Lex works with the vocational support professional staff to ensure quality services for vocational rehabilitation and long-term support clients. She also works closely with the training and curriculum development team to improve disability inclusion within Oregon businesses. When Lex isn’t at work, she enjoys camping along the Oregon coast and finding hidden places in Portland to drink coffee and read books. Glenn has been part of the professional team at Dirkse Counseling & Consulting since March 2000, and has over 20 years of experience in the counseling field. Glenn is a Certified Rehabilitation Counselor who serves as a Senior Employment Specialist at Dirkse CC. Glenn has experience working within a wide range and degree of disabilities, providing comprehensive assessment and placement services that are skillfully tailored to each client’s individual skills, needs, and desires. He holds a Bachelors Degree in Health Care Administration from Oregon State University in 1991 and a Masters of Science in Rehabilitation Counseling from Portland State University in 2004. He currently serves on the P.S.U. Rehabilitation Advisory Board. Tiffny joined Dirkse Counseling and Consulting in early 2016. She brings several years of experience in administration support, human resources, and billing. She has spent the last 7 years as an Office Adminstrator in the retail industry, supporting multiple program directors as well as supporting the daily operations of the office. 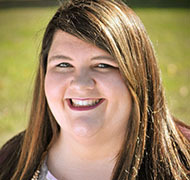 Tiffny brings a strong customer service work ethic, effective communication, and organization skills to Dirkse. Gary has worked in the Disability Employment field for the past 20+ years, overseeing Employment Programs in Colorado, Idaho, and Oregon before joining the Dirkse Team as the Eastside Employment Services Manager. After obtaining a BS in Packaging Engineering from Michigan State University and working in a New York test lab, Gary moved to the Pacific Northwest and switched professions. A native Michigander, Gary spent the bulk of the past 25 years in the PNW, and now calls Sandy home. Gary is a Certified Employment Services Professional (CESP), a member of Oregon’s State Rehabilitation Council (SRC) and joined the Dirkse Team to help expand programs and service offerings on Portland’s eastside. Gary works diligently to engage businesses and develop meaningful partnerships that result in positive outcomes for employers and job seekers, alike! 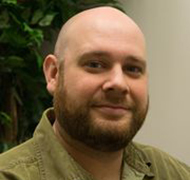 Chris began working as an employment specialist with Dirkse Counseling and Consulting in 2014. He earned his B.S. in Psychology from Portland State University and recently completed his Masters in Science for Clinical Rehabilitation Counseling. Chris entered the professional world by enlisting in the United States Navy, where he served honorably overseas and at home. After leaving the service, Chris spent three years working with the Portland Veterans Association Medical Center on the mental health unit as a Recreational Therapy Aid. Inspired by his work with Veterans, he now strives to help individuals with all types of disabilities find meaningful and fulfilling employment. 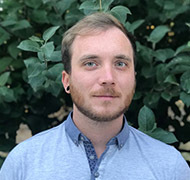 Jon joined Dirkse Counseling and Consulting in January 2018 after spending nine years in public educa-tion. Jon’s previous experience was in the community-college setting, teaching reading and writing courses in primarily pre-college and developmental programs. This work inspired his interest in social services and in getting more involved with supporting individuals as they make the transition from school to work. As a Vocational Support Professional (Job Coach), Jon most enjoys seeing clients gain confidence and self-worth as they achieve and surpass their own employment goals. Jon earned a BA in English from the University of Wisconsin-Whitewater and an MFA from Oregon State University, and is currently completing coursework at Portland Community College, with plans to also become a Certi-fied Alcohol and Drug Counselor. Bryan grew up in Springfield, MO and attended Missouri State University. 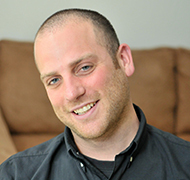 In 2007, he received his degree in Therapeutic Recreation. He began work at a residential facility for at-risk youth. He then moved on to being a counselor and activities director at a drug rehabilitation house for teenagers. In 2012 he moved to Portland, OR where he spent three years working at a residential facility for at-risk youth with the last year being the supervisor for the overnight shift. His attention shifted to focus on people with disabilities and he found a job as a provider with this population. While working in the field, he was introduced to supported employment. This piqued his interest and in early 2018 he began his work with Dirkse Counseling and Consulting. Bryan loves being able to meet so many different people and see them succeed at their work. 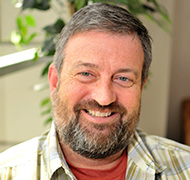 Curt joined Dirkse Counseling and Consulting in early 2017. 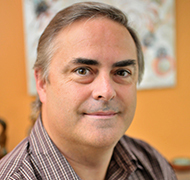 He specializes in providing individualized support and guidance with all clients he works with. He believes that through personally tailored ap-proaches, geared towards promoting self-determinism and autonomy, individuals can actualize their potential and find meaningful and enjoyable employment. He received his B.S. in Psychology from Portland State University, and is currently completing an M.S. in Clinical Rehabilitation Counseling, with the aspiration of become a licensed LPC counselor. 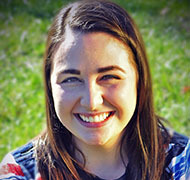 Sarah joined Dirkse Counseling and Consulting in 2015. Sarah brings several years of supervising and business experience to the clients at Dirkse. Sarah was introduced to the supported employment field while working with her son that experiences autism, in his successful employment journey. Sa-rah excels at task development and creating job aids that support clients in task completion and main-taining their skills. She also enjoys working with managers to improve the relationship with clients and their team. Sarah has attended many training programs that include Systematic Training, Job Coaching Performance, as well as Information and Assistive Technology. Alicia joined Dirkse Counseling and Consulting in February 2017. She recently moved from a Job Coach role to an internship role with DCC, where she is learning skills in job development, behavior supports, and teaching self-advocacy to students in transition from school to the workforce. Alicia has over 5 years of experience in the helping professions, including supported employment, case management, live-in companion assistance, and direct care work. 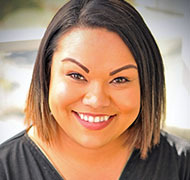 She has a Bachelor’s in Counseling with a specializa-tion in Expressive Arts Therapy from Lesley College, and she is currently in her third and final year at Portland State University for her Master’s in Clinical Rehabilitation Counseling. Alicia enjoys witnessing her clients’ growth in confidence and independence in the workplace. She emphasizes building strong relationships with her clients and their employers, and fostering supportive, communicative employ-er/employee relationships. Wynter studied sociology at Fort Lewis College, in Durango CO, where she graduated with a Bachelors of Arts in December 2014. After graduation, she spent some time traveling New Zealand where she worked in the hospitality industry. Returning state side and deciding to move to Portland, OR brought her work in retail and office administration. Wynter joined the Dirkse Counseling and Consulting team in May 2017. She found that her colorful career background and experiences make her a very adapta-ble and understanding job coach. Wynter contributes drive and passion when advocating for adults who have different disabilities. Since being with Dirkse CC she has received a multitude of trainings and certifications including the Systematic Instructional Training certification in summer 2018. Robynne joined Dirkse Counseling and Consulting in 2015. While working as a Job Coach, she attained her B.A. in Psychology & Education at Marylhurst University. She completed her Internship at Spectra Gymnastics, where she learned how gymnastics and social skills are taught using the Applied Behavior Analysis method and techniques for children that have Autism and other behavioral disabilities. Born in Salt Lake City, Utah, Robynne spent many summers in Portland, OR with family. She loved Portland and moved in 1989 to make Oregon her home. She found work as a dental assistant then was asked to teach as a dental assisting instructor. Through teaching and training adults, she was drawn to return to school and change her career due to the personal experience of caring for someone recovering from a traumatic brain injury and delayed development. As an experienced Job Coach Lead, Robynne has a demonstrated history of working in training and retention of workers with disabilities in all venues of industries. Robynne enjoys making a difference in all the people’s lives she meets. When not working she enjoys quilting, hiking, beach trips and lounging with her Siamese cat/dog, Charlie. Tara joined Dirkse CC in November 2017. Tara has 9 years of experience working with children and adults with disabilities. She has worked as a Direct Support Professional, Supported Living Coordinator, Residential DSP, Day Program DSP, Job Coach and in 2017 become certified to write Discovery Plans. 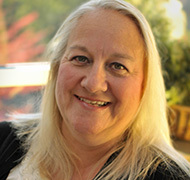 In 2015 Tara was nominated ANCOR’s Oregon’s Direct Support Professional of the year. 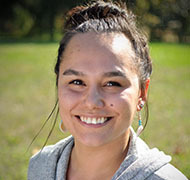 Tara has a way of connecting with people, finding their strengths, identifying their needs and formulating a plan to assist them in job placement and retention. Kimberly joined the Dirkse Counseling and Consulting team as a Job Coach in 2017. Kimberly began her career in Human Resources 11 years ago working in county government. Her first 6 years were spent in the social services field where she gained valuable experience supporting a department with 900+ employees. Kimberly then transferred to the public service side of county HR and spent the next 3 years working for a Sheriff’s Department prior to relocating to the Portland area. Working alongside law enforcement and guiding people through accomplishing their career goals was very impactful for Kimberly. As a Job Coach, Kimberly relates that same guidance in supporting clients with accomplishing their employment goals. Seeing clients learn and thrive in their work is one of the most fulfilling parts of Kimberly’s position. Highly knowledgeable presenters. Environment encouraged open and honest discussion.